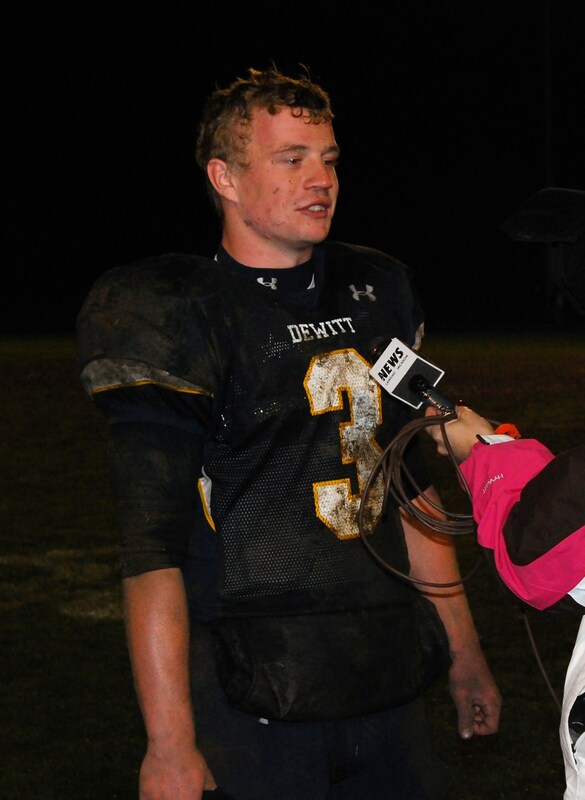 Jimmy was named as the Associated Press Special Mention Class B quarterback for the 2009 season. He was inserted as quarterback in the fifth game of the 2008 season and helped lead the junior laden class to five wins in the next seven games, including an incredible come-from-behind district win over Lansing Sexton where he threw for 355 yards. The unflappable Williams then led the powerful Panther offense in dominating fashion past twelve straight teams on their way to a State semi-final appearance in 2009. A strong arm with a velvet soft touch and deceptive speed along with natural leadership skills, Jimmy guided the complex and potent yet balanced Panther offense to the most prolific scoring season in school history. Jimmy's senior numbers rank amongst the top three in series of outstanding quarterbacks in recent Panther history; 1,910 yards passing, 26 touchdowns, 137 completions and only three interceptions along with nearly 700 yards rushing and nine touchdowns. For a career, Jimmy ended up with 3,268 yards passing on 236 completions, 37 touchdowns and only eight interceptions. Rushing, Williams ended his career with 1,216 yards and 14 touchdowns.